Most of us have no idea what’s really going on inside our heads. Yet brain scientists have uncovered details every business leader, parent, and teacher should know?like the need for physical activity to get your brain working its best. How do we learn? What exactly do sleep and stress do to our brains? Why is multi-tasking a myth? Why is it so easy to forget?and so important to repeat new knowledge? Is it true that men and women have different brains? In Brain Rules, Dr. John Medina, a molecular biologist, shares his lifelong interest in how the brain sciences might influence the way we teach our children and the way we work. 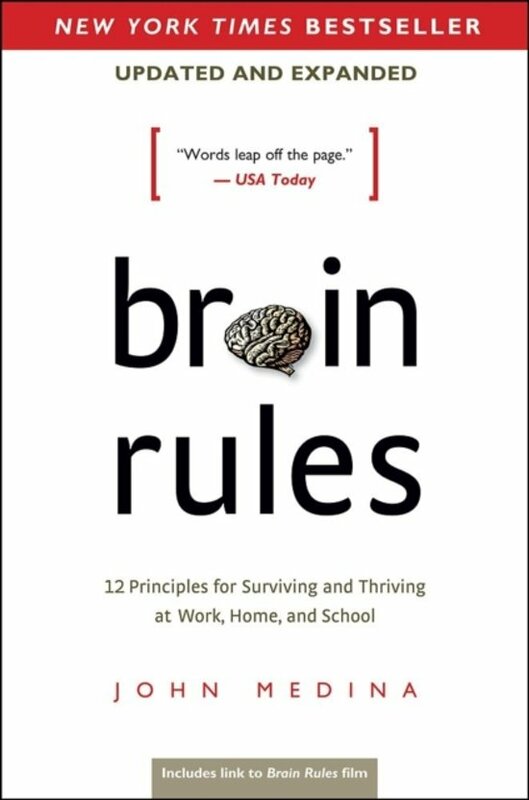 In each chapter, he describes a brain rule?what scientists know for sure about how our brains work?and then offers transformative ideas for our daily lives. In the end, you’ll understand how your brain really works?and how to get the most out of it. Alleen jammer dat ik de Nederlandse versie niet kon vinden.